Searching for precision and reliability in the highly technical fabrication of plastic, wood and metal? We’ve got your back! We offer competitive proposals, pricing and fast turn-around times. We LOVE working with local talent! By complementing the ideas of our clients with creative, colorful craftsmanship, we can cater to a wide variety of customers. Wood, metal, plastic? We do it all. Whether you're an artist or designer looking for that perfect shape or functional decor, an architect looking to print a 3D model, a machinist looking to tool a precise shape or movable part, Icon 3D will be happy to work with you on your current and future projects. 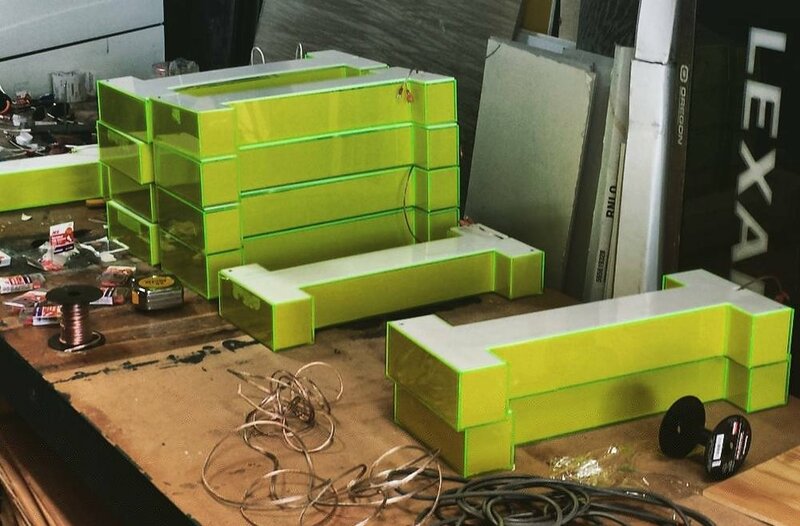 We work in direct partnership with Flair Plastics to bring our customers the best custom acrylic and plastic goods on the market. Make us a "Go-To" company in your toolbox and we promise you success in your fabrication needs. Tell us about your project by giving us a call or emailing us at: 503.954.1021 or info@icon3Dpdx.com. We’re friendly, informative and knowledgeable. And we’re not the only one that say that! Join our growing group of satisfied fabrication clients from local architects, artists, contractors and builders to national companies.